Last Friday’s episode of Numb3rs (as reported here at ARGNet) sparked discussion at UnFiction. And while the show received generally positive reactions for a positive depiction of the community and a thorough look at the puzzle solving aspects, many were disappointed that the episode downplayed the narrative elements of alternate reality gaming. Apparently, people spoke too soon, as ARGNet’s own Brooke Thompson received an email from Spectre, one of the characters from last week’s Numb3rs, leading to Chain Factor. Spectre mentioned in the show his plans of developing Chain Factor to rival “Primacy”–if you haven’t yet seen the episode, I won’t spoil you more. At first glance, the website appears to be a casual puzzle game created by a slightly megalomaniacal game developer. The puzzle game has hidden 36 keys “hidden in plain sight among the visual trash of today’s marketing-mad culture”. These keys unlock special powers that can be used in the Chain Factor gameplay. Some of these keys have been discovered as banner ads on Viacom websites such as CBS Sportsline and StarTrek.com. The admittedly addictive puzzle game has a few bugs in the system. Players have noted that error codes strongly resembling internal memos crop up from time to time indicating the future placement of media. The memos suggest keys will be transmitted via text messaging, television promotions, and out-of-home advertising in California and Minnesota. These production notes indicate that a story may be forthcoming. The Numb3rs episode defined alternate reality as “a treasure hunt played out in the real world using actual media”. Following that logic, Chain Factor may be a quest to unlock a series of clues hidden throughout the world around us. However, it appears as though the creators of this game are gradually and subtly revealing a narrative to support the treasure hunt. We may get to see Spectre’s plans for an alternate reality game that is all-encompassing…or at least all-encompassing within the Viacom umbrella. Television shows are releasing supplemental extended realities and alternate reality games more and more frequently. This may prove invaluable to shows looking to keep their audiences engaged during the WGA strike. Who knows which program will be next? 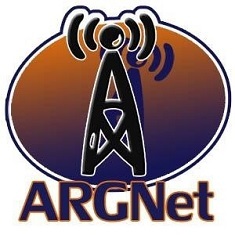 Stay tuned to ARGNet for more updates. Click Here to play Chain Factor. Click Here for the Chain Factor Wiki. Does Tom Tooman hail from Jericho, KS?